An accusation or arrest for a white collar crime can apply to a wide variety of activities. To successfully defend yourself against these accusations, you need an experienced Los Angeles criminal defense attorney who will aggressively protect your rights and your freedom. Depending on the facts of the case, a white collar crime charge can be anything from a simple misdemeanor to a felony case. Even if you are only convicted of a misdemeanor, you can face serious consequences including large fines, jail time, and the loss of your job or professional license. 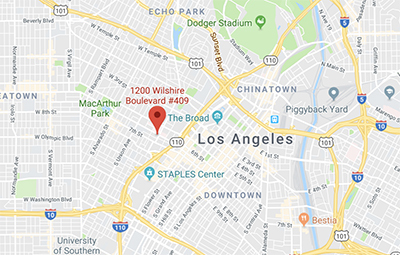 It’s vital to have a Los Angeles criminal defense lawyer who has your best interest at heart and will vigorously defend you using every possible resource. Your freedom, livelihood, and financial well-being are at stake. Need to defend yourself against a white collar crime charge? Contact us today at (213) 536-4303. When it comes to investigating a crime, the police are focused on finding a perpetrator to convict. They aren’t very interested in evidence that you might not be guilty. That’s where we come in. Our experienced Los Angeles criminal defense attorneys will examine every angle of the case to make sure that no details are missed. We will present all evidence to the judge and jury and work hard to ensure that you get the most positive outcome possible. At Manshoory Law Group, APC, we pride ourselves on being available to our clients. We will ensure that you are always up to date on what’s happening in your defense, and will walk you through every step of the process. We are also available 24/7 for any questions or concerns. We know how important it is for you to get your life back. Let us help. Contact us at (213) 536-4303 to schedule your free consultation now.